This will not come as too much of a surprise to many, but Gearbox confirmed at PAX East that they are working on the next Borderlands title. No word on what platforms it'll be released on, what the story is about, or really anything. It's all fun-time speculation town here, folks. Rather than go through any of the possibilities for what could be in the game, let's talk about the few pieces that came out of all of this that are known. Scott Kester, art director for Borderlands 2 and Battleborn, will return in a similar capacity for the new game and Mikey Neumann, the Chief Creative Champion and voice of the character "Scooter," will be responsible for penning the story. Based on a Facebook post by one of the main concept artists on the team, it sounds like things are still in the planning stages for the new title, though there may be some easter eggs about the game in Battleborn DLC. 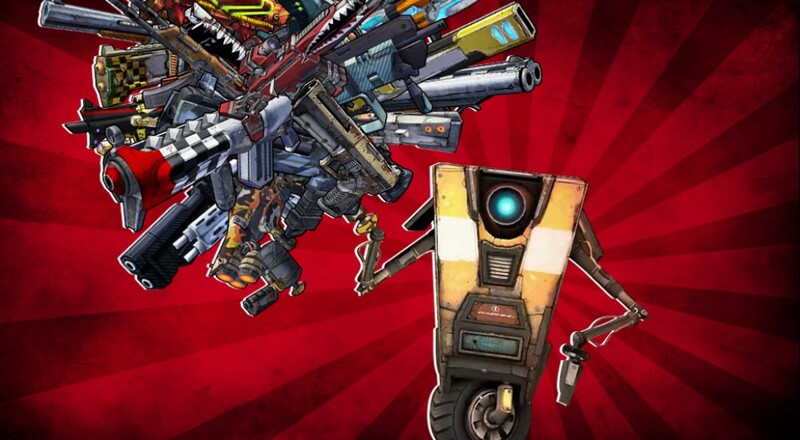 I really enjoyed Borderlands 2 and its DLC, so I'm certainly looking forward to seeing where things go from there. Hopefully, a few lessons have been learned by the studio at this point to make the gun combat a little tighter for this go around. Page created in 0.2312 seconds.